Literary Agents are full of great advice for both new and seasoned authors. They not only know the industry inside and out but also know what the best book marketing tips for authors are. Writing and publishing your book is what gets your book finished and bound. Book marketing is what gets your book in the hands of your target readers. Once your book is ready for publication, you need to get out of your comfort zone and exercise some serious business and marketing acumen. The biggest question I get from new and seasoned authors is: How can I sell more books and get it in the hands of more readers? The answer is a well thought out publicity and book marketing strategy that is aligned with your business plan. There is no one book marketing strategy that works for every author. Book marketing needs to be customized and aligned with your goals and story. Remember, your story is unique and so is your book marketing strategy. 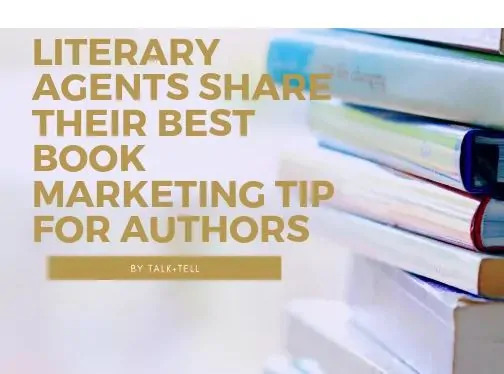 But to help you, I have put together the best book marketing tips for authors straight from the top literary agents in the publishing trenches. In the link you will find 13 of the best Book Marketing Tips for Authors to help you start attracting new readers. So Now You Have Finished Writing Your Book. Now what?